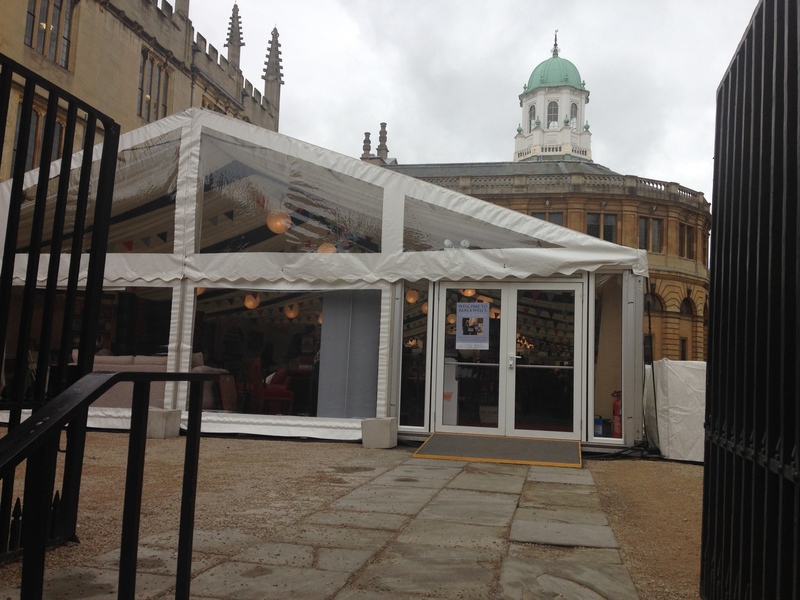 The last few moments of this years Oxford Literary Festival fooled me. A few pieces of the past were still strewn about town as I walked through but alas the amazing event has just left town. Thankfully an exhibition in the Vaults cafe celebrates the buzz of the festival that has recently ended. I browse a few books of poetry at the nearby book store to catch a sense of the creativity that has hung in the air this week. Bicycles make a clean get away for the early birds who bagged a great selection of signed books. 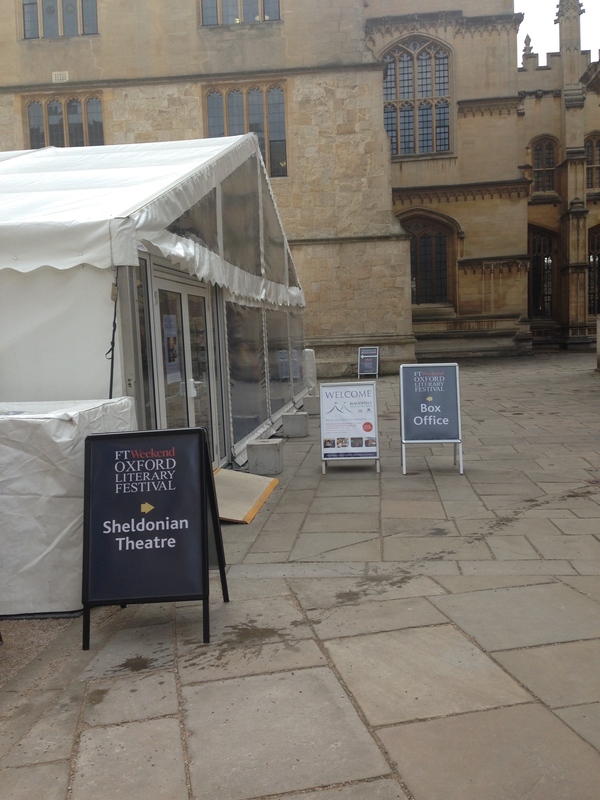 A late visitor asks for directions to the Bodleian library and can’t decide if she wants the old or new one. She is searching a classic and I imagine the journey. he wants to find a close friend. He shares his story of life in London’s East End. the original version in the lurch. So I do a google search. thick; she wonders if he will hear us scream? us at all but it is still tough to leave the silver screen. with no time to hunt a souvenir. where the hidden camera reigns supreme. I have him on my iphone and finally Mr Darcy and I are alone. I sit with strong coffee and find my own words that feel ephemeral to me. that change was nothing personal. Summerfield84’s English blogThe Weeping Cherry blossoms in Ichikawa, Japan. Sunday Frame of MindFound It! Confessions of a Food TouristDessert in a flash! Colonialist’s BlogWeekly Photo Challenge: Ephemeral – snow good expecting it to stay. Chris Breebaart Photography / What’s (in) the picture?WPC: Ephemeral – Tequila?! a coffee break with mikeEphemeral & Fun! Roving BessWPC – Ephemeral – Don’t let the moment pass you by…! Expressing my visionThose fleeting moments when…………. Lucid GypsyAs Fleeting as . . .
Our Gorgeous ChaosSay hello to Oscar! To Wear A RainbowThe Moment. 365 Days of Thank YouI Had to Look This One Up! Susie Lindau’s Wild RideEphemeral Photos! pacifylifeEphemeral, They say they will never come up!! Life in the FoothillsEphemeral – A WordPress Photo Challenge! 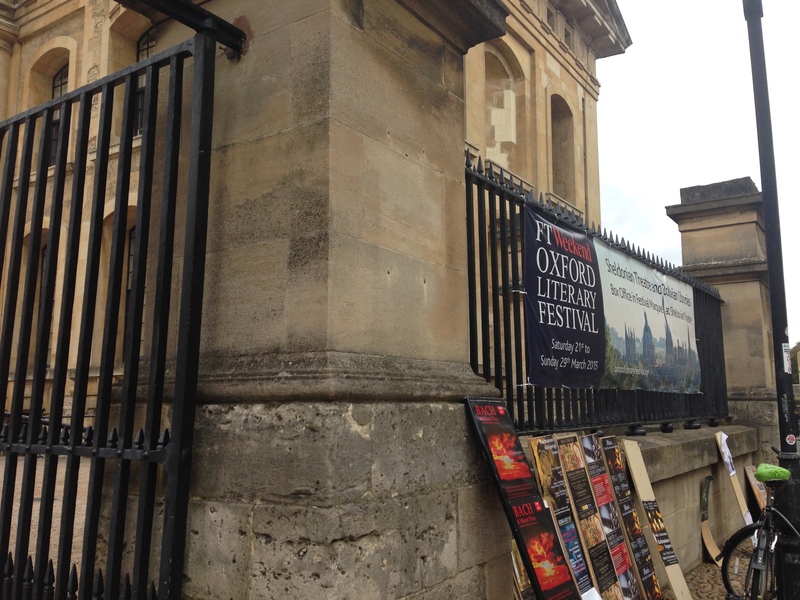 This entry was posted in Art & Theatre Reviews and tagged april 1st, april fool, coffee, DP challenge, literary, literary festival, Mr Darcy, oxford, oxford literary festival, photo challenge, photography, poems, poetry, spring. Bookmark the permalink. Thank you! I love your recent selection of wall mounted art. So insightful. Wishing you a happy Easter time. Thank you so much for sharing this inspiring insight. It helps me connect back to how I write. You have awesome skills as an editor as the work of others you present on your site is so precise, lean and pure narrative. Your own creativity is present in a beautiful way in your posts and I look forward to reading more. I’m inspired by the quotes you create in your posts and I love the way they relate to the awesome locations your blog takes me. The San Fernando Mission in California you captured feels idyllic. What fabulous greenery. Wishing you a lovely Spring. Thank you for kind words. I am learning so much about our rural traditions from reading up on your blog post archives. In particular I love the Winter Solstice post. Looking forward to enjoying more. Here’s to a super Spring! Awesome!! 😉 Yep, I was little trigger happy with the posting schedule! Here’s to a beautiful April. I’m crazy about your recent poetry that twists and turns so perfectly. ‘Argue with the Sun’ rocks! Love your photos and your words. Incredible, really! Thank you for this comment that encourages me so much. I am still thinking about your ‘Life is…’ post. So much depth and wisdom to your take on everyday life. Awesome. Thanks again for the wonderful words! Wow Jo I have had some great virtual walks this weekend thanks to your blog! Your words mean so much and I have taken a lot of encouragement from your comment. I loved how bracing Teeside looks in your images. Wishing you a super bank holiday. LOVE your posts as usual!!! Wow. I just found the website link that shows your photography portfolio. Thank you for showing me New York today! I love returning to your words and each time they have more depth. Enjoy your Easter holiday. HONESTLY, I just enjoy every word U say. I have never up dated my website, nor have I visited it in a long time. I have so much of stuff on this blog I kind of don’t need to go there. I am so so glad you enjoyed it. By the way I have just published a book and have it on the apple book store. I really haven’t publicized the book as yet. And you know what, I have translated it in French, German, Italian, Spanish and Portuguese.. It is a photo- journal of a 900+ year old stunning temple in India. In fact you are the first one to know about this book of mine. So, please give me your good vibes and blessing. That’s so exciting. I’m thrilled to hear of your publication! I will find it and download it. Huge congratulations. Your style is unique. Thank you for sharing this achievement. The subject matter sounds important and intriguing. Hearty cheers indeed. Thanks you so,so much I’m enjoying your words. You are GOLDEN!! MMMM…..lovely to see your laughter. I am laughing looking at you laugh. Talk to you soon….!!! Thanks for the visit and the ping back over CTB. So which did you prefer the Shanghai Silly or Frozen in time? Nothing better than a good book. Do you prefer to read it first or watch the movie? I always like to read the book first since it allows your imagination a truly blank slate to create. That is such a GREAT question! I think I like to read the book first but sometimes it just is not practical ;-( I enjoyed my visit to your blog so much. The images in your ‘Fresh’ post have connected me to Spring in such a beautiful way. Magnolia is such an elegant bloom. Here’s to a lovely Spring time. A pleasure for sure. Thank you the thumbs up 😉 I love your flash fiction. I have had a fab morning letting your words take me somewhere else. Looking forward to reading more. Thank you for tagging my page. 🙂 I love your ‘Mr. Darcy’ poem, he too is one of my favorite literary characters. Isn’t he the best!? Hearty congrats on your publications. Thanks for sharing the story behind your books on your site too. Here’s to a great Easter. Awesome. I enjoyed the images you have for the blur topic. Full of energy and life. Thank you! Like most people said, I usually delete all my photos if they’re blurry. I’m glad I still had these on my computer. Terrific post. Thanks for the pingback. I just had a great time absorbing the beauty of your Impressions of Nature. I am still thinking about your capture of the Tupelo Trees and I feel sure it is an image that will stay with me. Can’t wait to enjoy more of your art. That is so nice of you to say, Lita. Thank you and I’m glad you enjoyed Tupelo Trees. A very enjoyable post! 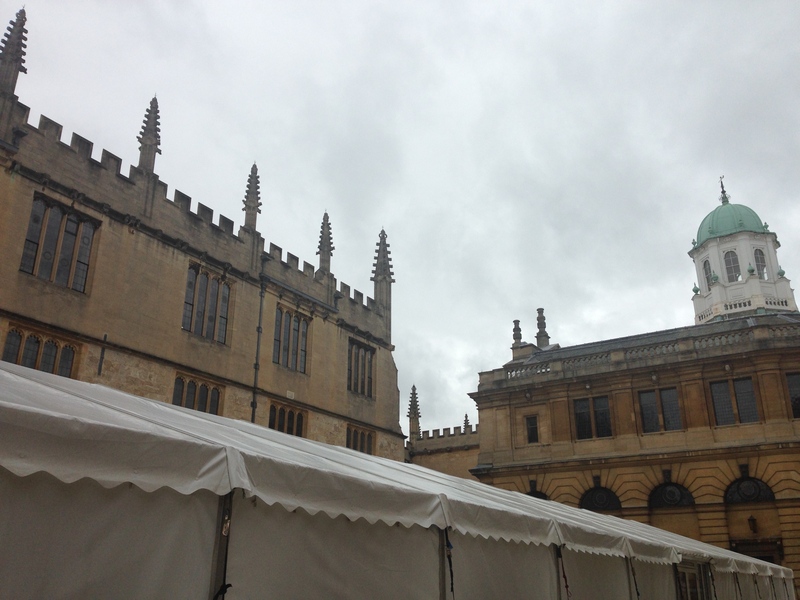 My daughter is studying at Oxford at this time, and it is really interesting to see the photos. Love the poetry too. It’s a beautiful city. I’m sure she is having a terrific time here. I’m looking forward to discovering more from your blog, I think it may have moved since I last visited so will check back soon. Enjoy your weekend. This is the first opportunity I’ve had to visit your site. I love it! I enjoyed the photos and poetry. Thank you so much. I appreciate the encouragement. I just had a great time reading your poetry inspired by light. Looking forward to reading more on your blog.